Streetdirectory.com Manjusri Secondary School is located at Ubi, a district near Paya Lebar and Eunos. Ubi is better known as an industrial estate due to the myriad of industrial businesses available here i.e JTC, garment, plumbing, etc. Ubi is also where you can find automobile-related businesses like car showrooms (Toyota Motor, Kah Motor, Star Auto etc), car garages and driving centres. For Singaporeans living in the East, the Comfort Driving Centre is the most accessible driving centre at which you can enroll for your driving and/or riding licenses. 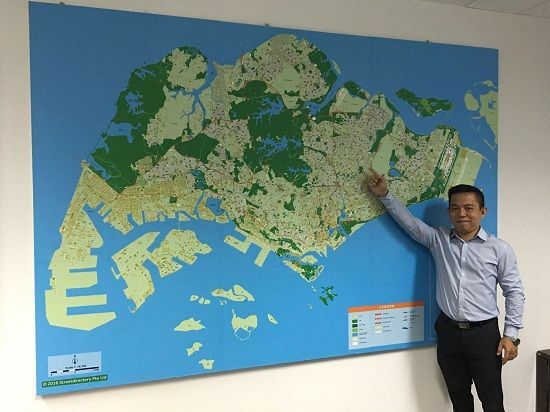 The other driving centers are located at Bukit Batok and Ang Mo Kio. There are also several government offices here, namely Traffic Police HQ, SCDF HQ and Paya Lebar Power Grid Substation.